York HVAC prices tend to be in the upper third of companies but they back up their prices with quality components that have very good track records of performance and dependability. The York Affinity Series Model CZE central air conditioner is one of the top line from York and it offers outstanding performance and efficiency, especially when matched with a York Prestige gas furnace. That’s what Jeremiah from Virginia Beach, VA discovered. He used the simple form on the Share an HVAC Price page to give us the York Affinity Series Model CZE 15 SEER central air conditioner price he paid last year that was actually a part of a complete Affinity split system. We encourage all of our readers to send in their HVAC prices so that others can see ballpark figures on what various systems cost. Here’s the letter. “When I retired from the Navy last year after 27 years I found myself with more time on my hands than I was used to, so I started to tackle some of the projects on my parents’ house that needed attention. I’ve been at sea more than usual the last 8 years with the Navy spread out over the globe, so my parents’ home definitely needed some work. After we added insulation to the attic and replaced the shingles, the next step was to replace the HVAC system. We met with 4 different contractors that covered about 6 brands including Trane, Rheem, Carrier, and York. I did my homework online too, checking out each brand. This site and a few others were extremely helpful. I made my recommendations to my Dad and he concurred – the York system including the York Affinity Series Model CZE air conditioner had the most to offer. The next step was to check out the dealer’s references and they were fine. Turns out one of the Dad’s golfing buddies used them also and made a good report. So we signed a contract and scheduled the work. The crew arrived on time and it didn’t take them long to remove the old condensing unit from the back yard and load it into a scrap trailer they’d brought along. Then they detached the old furnace and on the way up the stairs with it they dropped it. The furnace put a hole in the drywall, but worse, it cut one of the guy’s knees pretty badly and he was done for the day. The next day the crew leader returned with a new crewman and also one of the local drywallers! I was impressed, but I had already patched the drywall and put the first coat of mud on it. The owner called to offer his apologies and to ask to cover the cost of any repairs. We told him to forget it. Thankfully, the rest of the installation was uneventful. The entire system works very well. My parents said their home has never been more comfortable and the system is extremely quiet – even when Dad remembers to turn on his hearing aid! Up to 15 Seasonal Energy Efficiency Rating – Energy Star qualified. Dependable 2-stage compressor reduces noise and energy consumption. Comfort Alert compressor monitor protects the operation of the compressor. Heavy-gauge steel cabinet with powder coat for added durability and appearance. QuietDrive System adds noise-reducing features throughout the design. Upgraded coil protection prevents damage from debris and ice. Uses R-410A refrigerant that won’t damage the earth’s ozone layer. 10-year limited warranty on the compressor; 10-year limited warranty on all parts. Purchasing an entire HVAC system can be an expensive investment and you’ll want to know that you are getting the performance and efficiency you paid for. That’s what makes it so important to choose a qualified contractor to handle the installation. They are trained to install and coordinate the system components to achieve the highest efficiency possible and also to offer the most durable service they are capable of. Whether you are simply gathering central air conditioner prices or bids on an entire system, don’t skimp on installation. 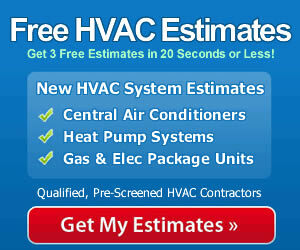 It helps assure you’ll save the most money over the life of your A/C or HVAC system. If this unit is SO good the why are there only limited warranties on the parts and compressor?